Belize has many rivers and each is important to the growth and development of its region. In the northern region of Belize, snaking through the Orange Walk and Corozal Districts is the New River. 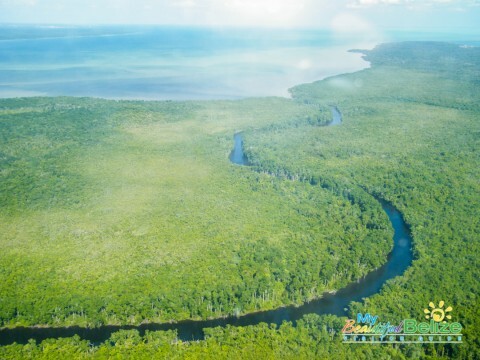 The New River is essential to both districts and the entire country in a whole; it has carved its way through the Maya era and the colonial times, and shaped the north for a bountiful future. 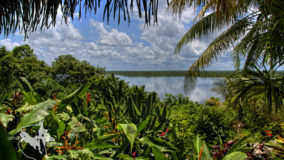 The New River was a major trading route for the ancient Maya and before, when Belize was still known as the British Honduras. At that time the country depended heavily on the logging industry and the New River was a vital piece to the thriving economy. Loggers from the north utilized the New River as a means of transporting logwood out to the Caribbean Sea where the British ships would be waiting to carry back the lumber to Europe. 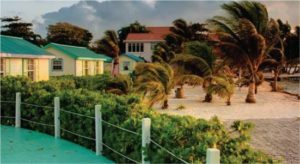 Massive logs were set adrift starting from the exotic forests of Orange Walk up to their destination at the Corozal Bay. 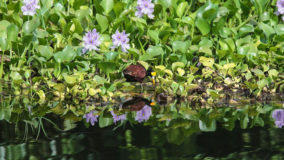 This industry flourished for several years, but soon there was a new use for the New River, and the north became the land of sugar and molasses. 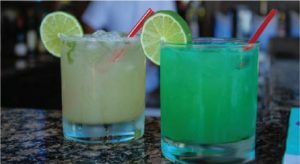 Sugar cane was introduced to the north in 1848 by Yucatecans who fled from the Caste War. 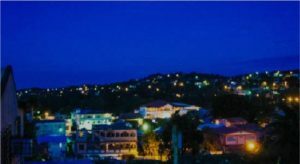 It quickly became a thriving industry and soon a sugar factory was erected – first in Corozal, then moved to Orange Walk. The New River played a vital role in the growth of the sugar industry; it was the only means of transporting the unrefined sugar to large European vessels for export. 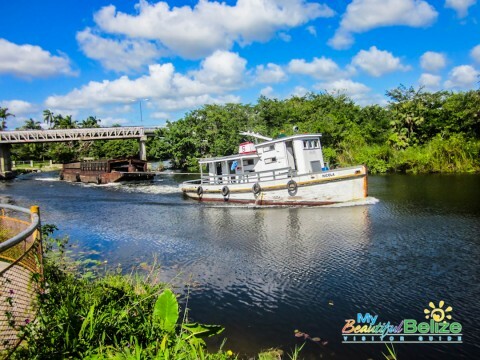 Today you can still bear witness to the sugar barges as they meander from the Orange Walk Sugar Factory to the Corozal Bay, as they have for many decades. 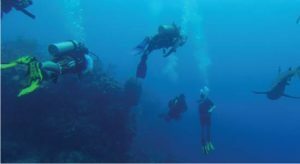 Now that Belize has plunged into the tourism industry, the New River offers a less industrialized use: as part of the tour route to the ancient Maya city of Lamanai. Lamanai, pronounced Lama’an Ai, means “submerged crocodile” in Yucatec Mayan and was once a good-sized city of the Maya civilization.The 26-mile journey through the waters of the New River from Tower Hill Village near the Toll Bridge in the Orange Walk District leads to the one-time epicenter for Maya traders. 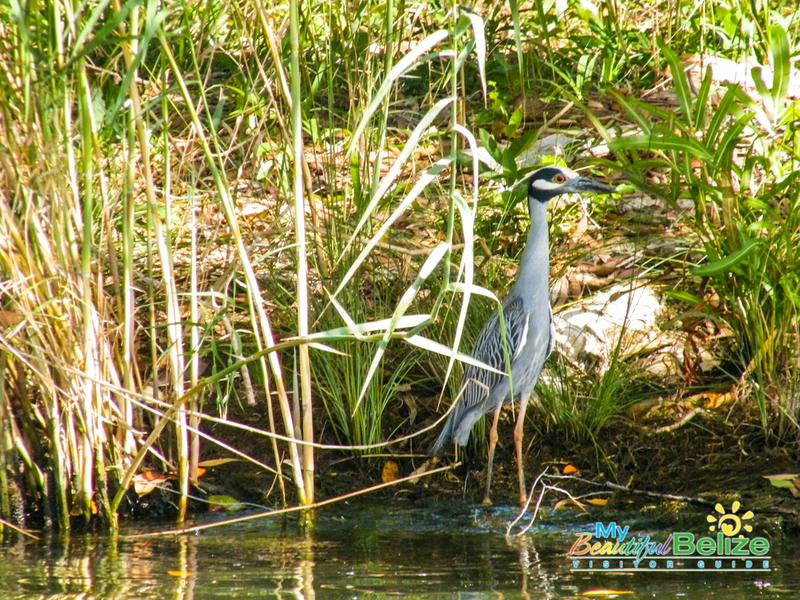 The trip on the New River offers scenic views ideal for bird watchers, and is an exciting excursion all by itself. 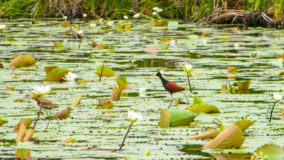 A variety of birds can be seen in their natural state, from the Boat-billed Herons, Egrets to the Jacana or Jesus Christ Bird (given this name as it seemingly walks on water), even Toucans to name a few. 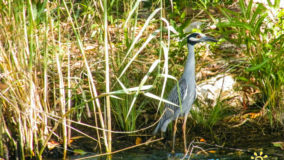 If you think that birds are the only critters you are going to see, then you are mistaken. 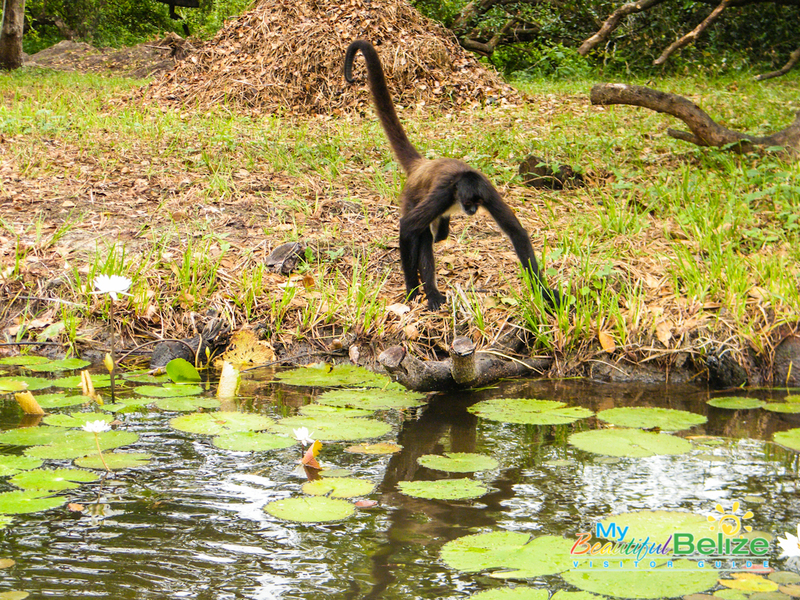 Tucked away in the banks of the New River is a little island where the Spider Monkeys are not shy at all, and at the ruin site you will most likely see (and hear) the Howler Monkeys. 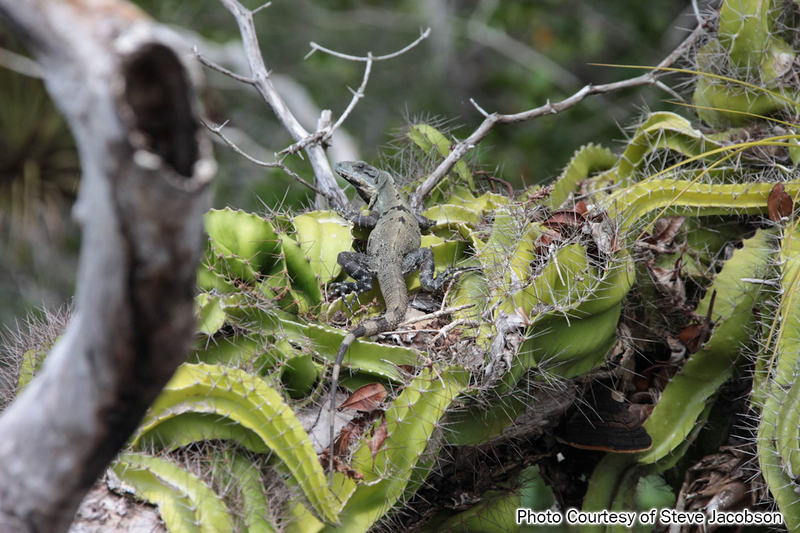 Not to mention Morelets crocodiles you are bound to spot along the way; they are a true depiction of Lamanai living up to its Maya name! Just as interesting is the botany along the river. 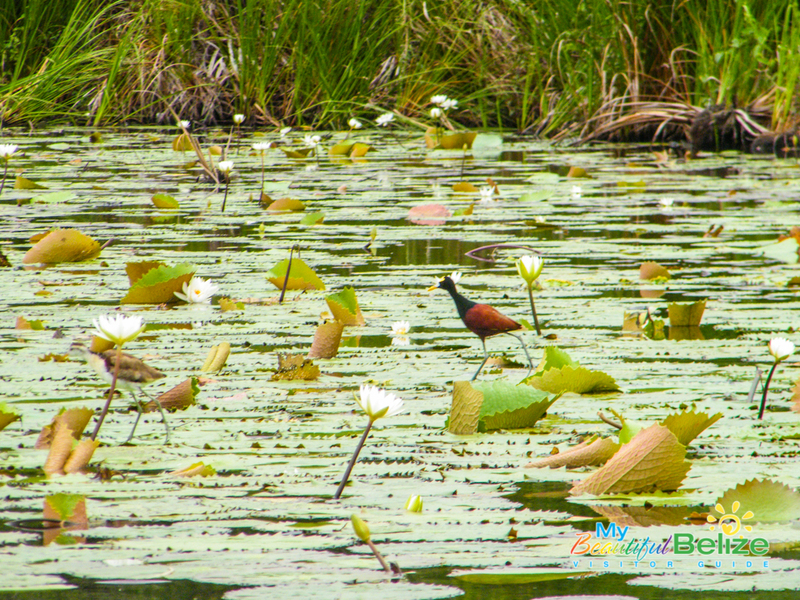 Navigating through the river will bring you in contact with white delicate water lilies that carpet the water bank for miles. Similarly, all sorts of colorful orchids dangle from the trees bringing the greenery to life. 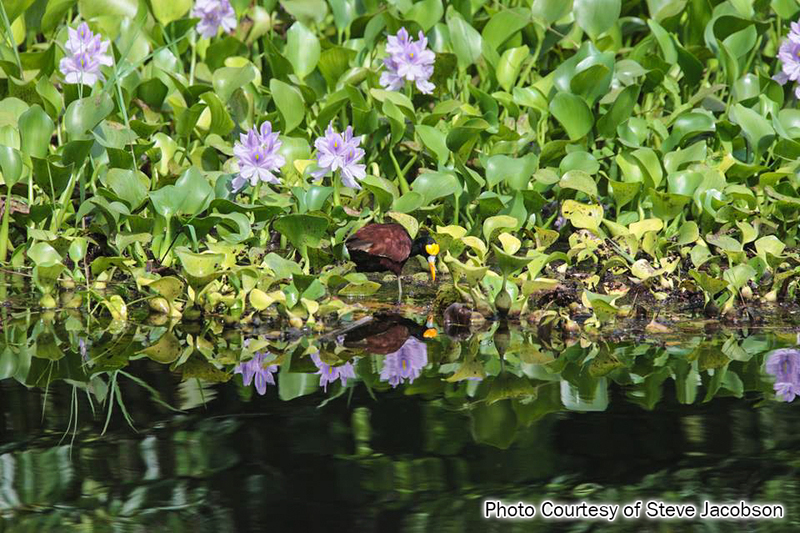 It’s not uncommon to see flowering plants along the bank with strange fruits, often harboring dozens of birds. Part of the journey through the New River brings visitors through dozens of channels so narrow that trees tangle above as if it’s a tunnel. 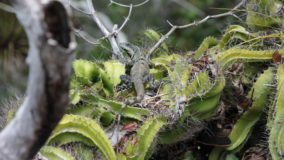 These tunnel-like channels give you the opportunity to enjoy snake like cactus curled around the branches and stretching to the water surface. 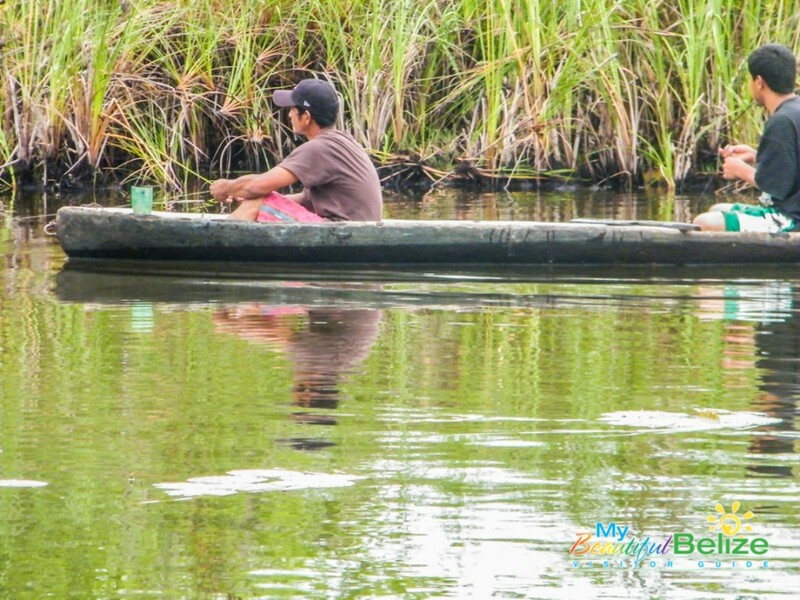 While on the river, you may chance upon fishermen in wooden dugout canoes. 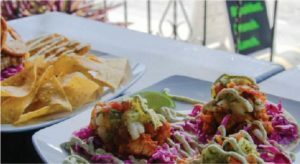 You’ll wind along the river and see the old Anabaptist Mennonite community which is now referred to as Shipyard, where humble traditions are still the way of life. 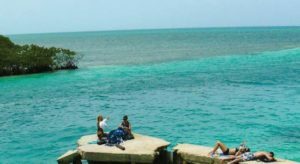 It feels as though you have traveled back in time, drifting down this body of water that showcases the rich tapestry of life that Belize offers. 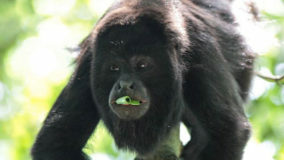 And this is just the route taken to get to Lamanai! 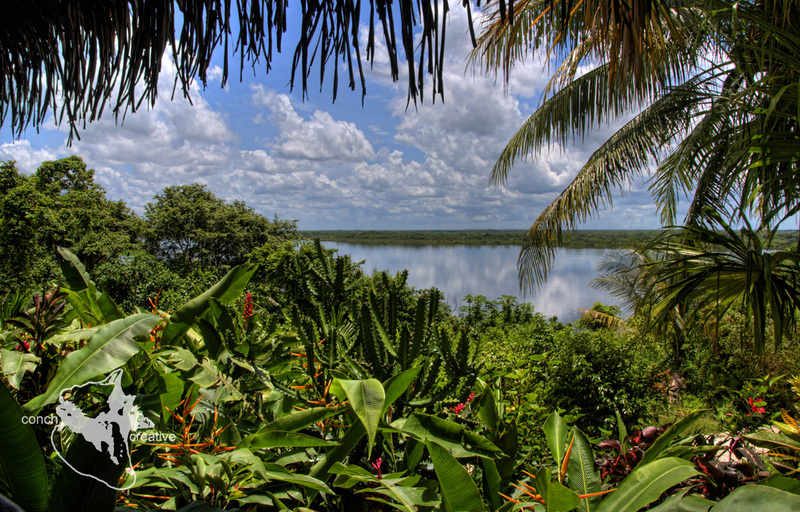 The ancient ruins remain hidden, cradled within the confines of lush jungle on the banks of the New River Lagoon. 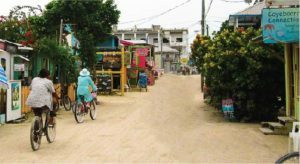 At the entrance of the site is a museum housing an amazing collection of impressive artifacts depicting Maya gods, finely crafted pottery and personal adornments. 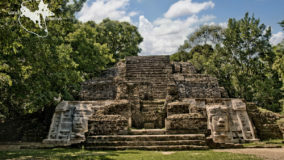 The Lamanai temple complex itself sits atop the western bluff of the New River Lagoon and is surrounded by pristine rainforest. 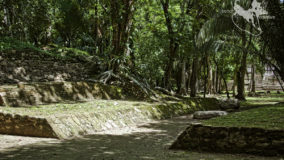 Lamanai was occupied continuously for over 3,000 years and its remoteness contributed to its continuous occupation, well beyond most other Maya sites, until at least 1,650 AD. 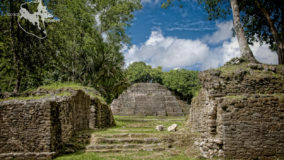 Lamanai had the longest known occupation of the Maya era, beginning in 1500 BC and thriving up until the arrival of the Spaniards in the 16th-century. 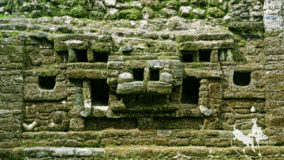 Hundreds of ruins are said to remain unexcavated in the nearby jungle, but Lamanai’s three most impressive temples have been renovated: the Jaguar Temple, named for its boxy jaguar facade; the Mask Temple, adorned by a 13-foot stone crocodile-mask carving (giving justice to the name) depicting an ancient Maya king; and the High Temple, offering visitors a panoramic view from its summit. 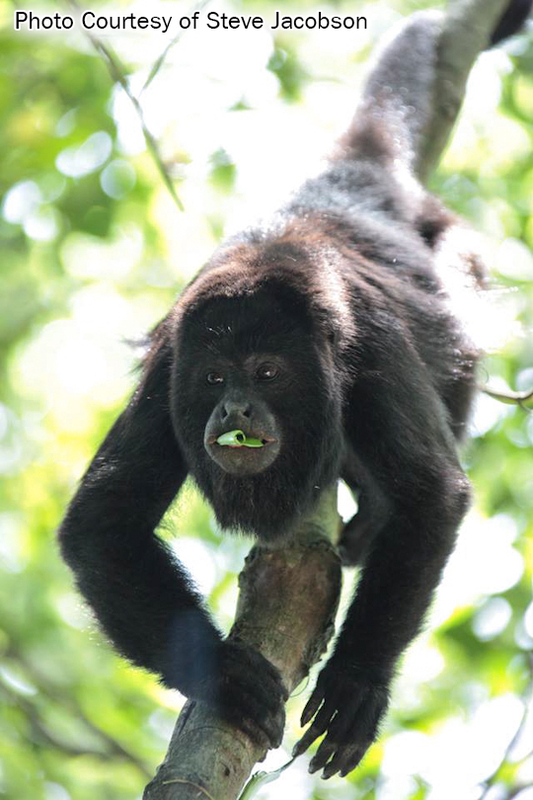 Lamanai’s tallest structure, the aptly named High Temple, rises over the jungle canopy to a steep 125 feet. Lamanai’s high temple is the tallest known Pre-Classic structure, and construction of it began in 100 BC, long before its Classic and Pre Classic neighbors to the west. 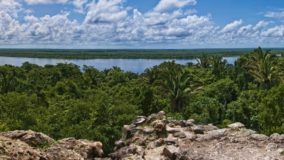 The view from Lamanai’s High Temple is an impressive panorama of the far-reaching waters of the New River as it snakes forward. 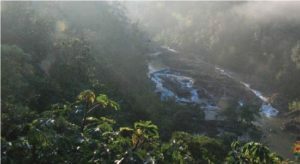 From the rear, there is only the jungle, extending beyond the horizon like a green sea. 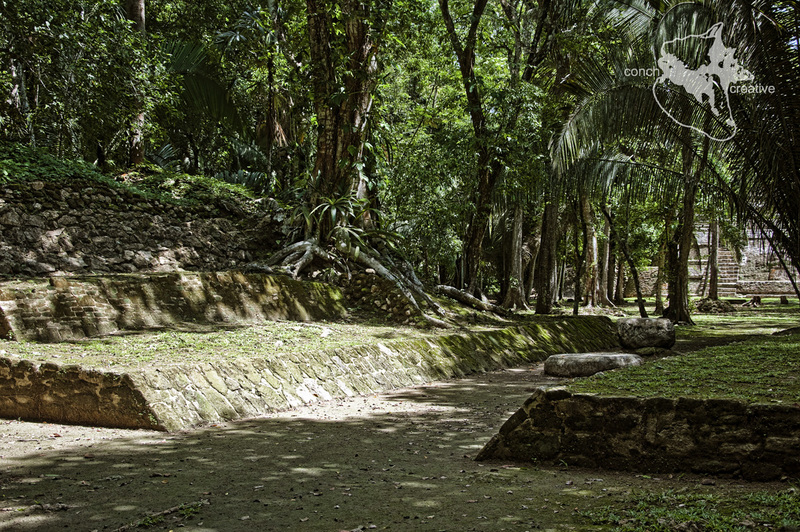 Another outstanding feature of Lamanai can be seen at its ball court, which, despite its relatively small size boasts one of the largest known markers. 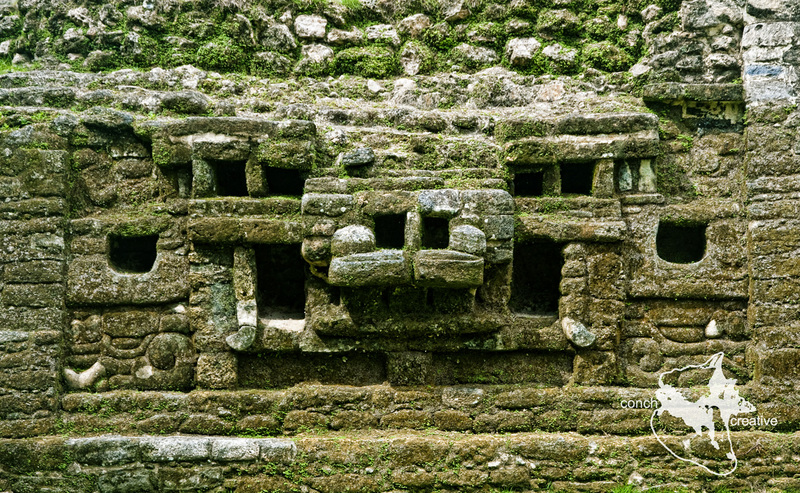 The ancient game called “Pok-a-tok” was played in the ball court and it is believed that the captain of the winning team is beheaded as a sacrifice to the Gods. Lamanai is also well known for Stela 9, which depicts Lord Smoking Shell and a corresponding date commemorating the lord’s reign. Buried beneath Stela 9, archaeologists discovered the remains of five young children at what they believe to be an important burial site. 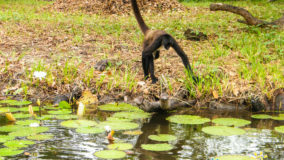 The magic of the area is accentuated with the growl of Howler monkeys deep in the tangled forest and busy bird chatter; together the jungle song transports you back to a time when the Mayas ruled the area. 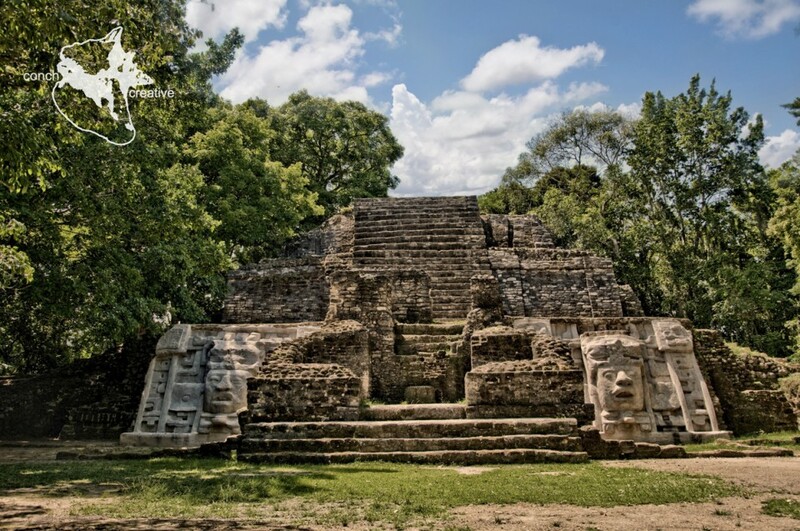 Throughout the tour you discover the amazing history behind this archeological treasure and not only are mesmerized by Maya mystique but in awe of the jungle that embraces it. The ride back brings you to the new world and civilization. 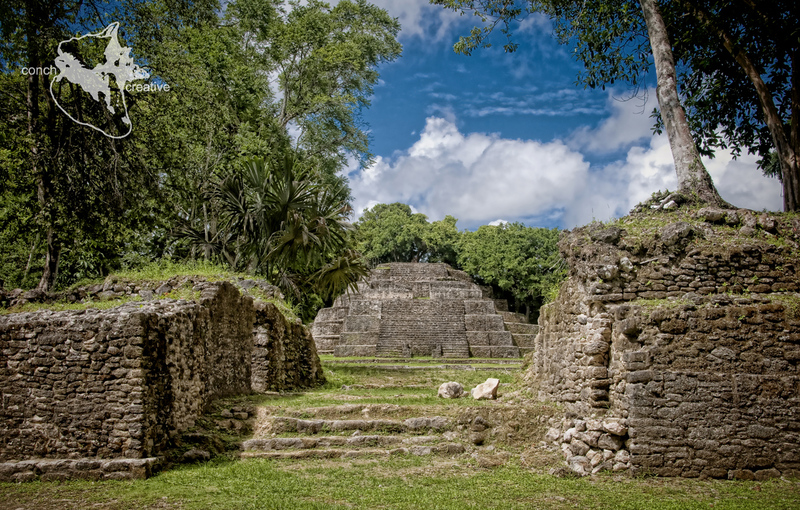 Be sure to take in the abundance of nature and appreciate the rich history Belize has to offer. Conch Creative stylish photography brings out the romance and beauty of weddings, the warmth and character in portraits, producing stunning glamour shots and making ordinary things seem extraordinary. Maya Papovic, internationally published photographer, is a member of the International Society of Professional Wedding Photographers (ISPWP).